Health care costs have been on the rise for several years, not just in the US and Europe; health care worldwide is taking a toll on many patients, who are struggling to keep up with skyrocketing costs. 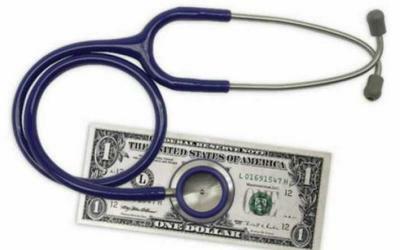 The cost of the health care in the US is one of the most controversial issues currently being debated. According to kaiseredu.org, US health care spending was about $714 billion per resident and accounted to 16.2% of the nation's Gross Domestic Product (GDP), which is rated the highest among industrialized countries. The US and Europe have witnessed an improvement in their health care system, thanks to the government's initiative to sustain the health care system. However the high demand for affordable health care- due to the rise in chronic diseases- far outweighs the supply. Because of aforementioned reasons, among many other factors, patients have no choice but to explore cheap health care destinations. The medical tourism industry has emerged during the last decade as an alternative option to expensive health care countries, like the US and some countries in Western Europe. Visit and Care gets off the medical tourist beaten path and countdowns the cheapest and the leading health care destinations that won't leave a dent in your wallet. Mexico has always been synonymous with affordable health care and budget cosmetic facilities, offering a full range of medical and plastic surgery treatments. Mexico is America's darling holiday spot, attracting more than the seasonal spring break students. Situated right under many Americans' nose, Mexico embodies all the qualities of a convenient, carefree vacation; within the reach of many travelers and plastic surgery patients. Public health care delivery in Mexico is carried out via an elaborate provisioning and delivery system guided by the Mexican Federal Government. The cost of health care in Mexico is a compelling reason for many US and European patients to cross south of the border to avail of the country's affordable and world-class medical and cosmetic treatment offerings. From dental implants in Mexico to IVF Mexico, hundreds of Americans are signing up for the health care plans run by the Mexican Social Security Institute. In recent years, Turkey's Ministry of Health introduced a nationwide health reform program to even the ratio between the private and public health care institutions. Private heath care in Turkey has also flourished, addressing the need for shorter waiting lines and personal service. The healthy competition between the private and state-run hospitals have increased the quality of health care in both sectors. Turkey is rated one of the most inexpensive health care destinations in Europe and the northern hemisphere. Liver transplant is Turkey's latest foray in organ transplantation surgery. Organ transplantation in Turkey offer multi-organ transplant programs: kidney transplant in Istanbul, liver and bone marrow and other live and multi-organ transplantation. Better know as the 'Island of Sin,' Cyprus is situated amid the shores of the Eastern Mediterranean, flanking the Middle East with its back to Greece and looking up to Turkey. Cyprus is an odd mixture of various cultures and regions: Europe, Asia and Africa. This tiny dot in the Mediterranean is the choice of numerous patients, particularly from the UK, to enjoy Cyprus's low-cost medical treatments. Because IVF in Cyprus is famous for its relaxed assisted reproductive treatment laws and hassle-free procedures, many UK patients descend on the island to take advantage of the island's cheap assisted reproductive procedures. India is one the fastest-growing economies in the world- and that doesn't exclude the health care department. Health care in India has undergone an enormous boom in recent years, becoming a global medical tourism destination. The low cost of health care in India is not the only the main reason for visiting the South Asian mogul, the professional excellence and exceptional service of medical institutions keep international patients flooding. The cheaper cost of surrogacy in India is also generating a lot of interest among UK and US patients. Other patients, baffled by the ambiguity of their country's IVF and surrogacy laws, choose India for the transparency of its IVF laws. The Dominican Republic is a less-known, cheap health care destination, boasting extremely competitive cost of medical and cosmetic surgery treatments. Over the past five years, the Ministry of Health in Dominican Republic has started decentralizing the sanitation sector, running multiple health insurance plans, to suit every patient's need and budget. Hospitals and medical facilities in Dominican Republic have adopted new techniques and software to handle the costs and customer service. From an aesthetic perspective, plastic surgery in Dominican Republic offers high quality cosmetic surgery and savings up to 70 percent, using the latest in modern technology and top-quality materials.